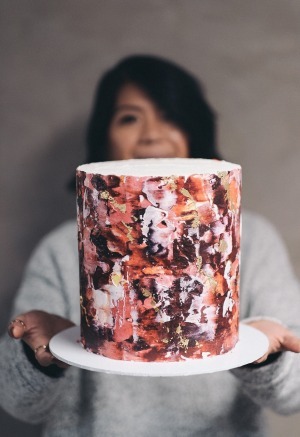 For Kat Logan, the co-founder of Buttercream Bakery, cake is a canvas and the buttercream icing is the paint. "We apply it the same exact way," she says. 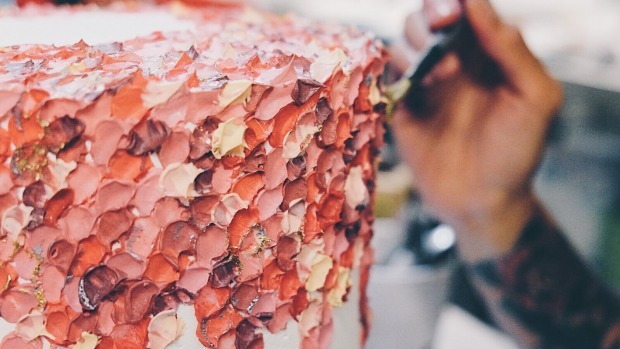 "We get a palette and we use food colour to create different colours and textures and then we start to apply it to the cake canvas." 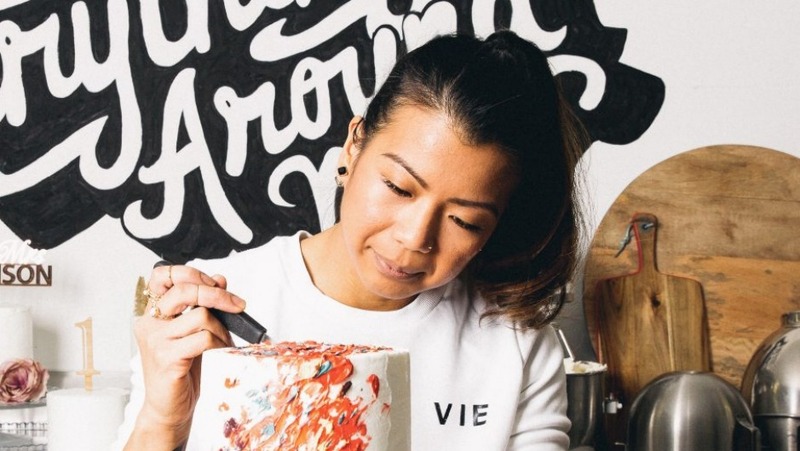 Logan's unique cakes have helped her build her business to $500,000 turnover and six staff from just one shop front in Sydney. Welcome to the first episode of the Bold Businesses podcast, a new podcast from Fairfax and Vodafone which highlights small businesses doing things differently. Logan credits Instagram as a big driver of her business' success. It was a very slow process to get where we are now because we were very careful but I think now it's time for us to take bigger risks as the bigger we get. 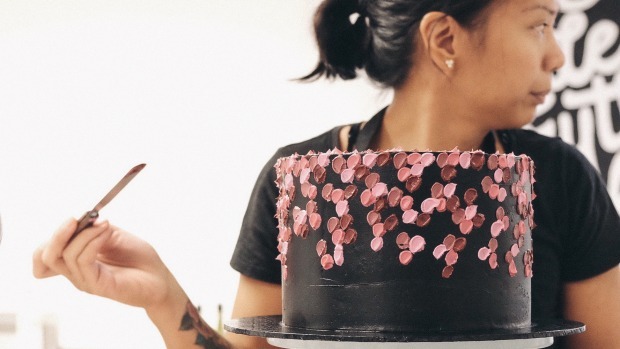 Buttercream Bakery has just under 30,000 followers on Instagram and Logan says the social network has helped grow her business from its humble beginnings in her parents' garage. "I started the business with my older brother and although I have got the creative force in the business, he is more the business mind in it," she says. "We have a very visual product ... and Instagram is the perfect platform to drive this kind of product because it's all picture-based. Being a small business and not having that kind of capital in the beginning to spend on marketing and advertising, Instagram has been a great tool for us to just get our product out there." The pair set up a commercial kitchen in their parents' garage with a few thousand dollars. "We just used a little bit of my brother's savings to build the commercial kitchen and the only big-ticket item that we bought was the smallest industrial oven and everything else was just what I had already," says Logan. "It was pretty much one of everything. My little hand mixer that my aunty had given me, one mixing bowl, one set of measuring tools, one cupcake tin but we went for it. We opened an online store and after every sale we made, we slowly upgraded. We bought another set of cake tins, we bought another kitchen bench and then eventually a proper stand mixer until we eventually had a fully functional commercial kitchen." ​As the business grew Logan needed a bigger kitchen to keep up with demand and wanted a space to showcase her cakes where customers could come in and taste them. But opening a bricks-and-mortar store nearly sank Buttercream Bakery. "This is where we almost saw the end of our business," says Logan. "At the last minute, we decided to add sandwiches in the window and coffee just in case our customers wanted to pick that up when they came to pick up their cakes. That was a very loose and not well-researched plan at all. What initially started as 10 sandwiches in the window, turned into a full-blown cafe. That was a monster in itself and we were not ready for it." Logan says she struggled to operate two very different businesses, a cafe and online cake store. There was a disconnect between Buttercream Bakery's online profile and the cafe. "We made the tough decision and we closed the cafe," says Logan. 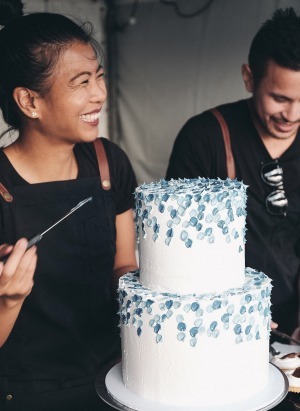 "Even though we were breaking even at that point and we started to really see things heading in the right direction for the cafe, it still wasn't in the direction we wanted our brand, as a whole Buttercream Bakery, to be going." Logan sold everything from the cafe and reinvested it into the online business, reinventing the store front into a cake studio and gallery. Now Buttercream Bakery is "going really, really well" and Logan has to consider her next step. "We're looking at either getting an investor or possibly taking out a business loan in order to expand because that's the only way to get bigger for us anyway," she says. "It was a very slow process to get where we are now because we were very careful but I think now it's time for us to take bigger risks as the bigger we get." Her message to other small business owners is simple. "Explore your ideas and no matter how crazy it is, like painting on a cake, go for it and you'll never know," Logan says. There's more about Logan's story, along with tips from Joe Rogers, chief executive of brand strategy agency The Contenders, on the Bold Businesses podcast. To listen to this episode, subscribe now on ITunes, or where ever you get your podcasts. The Bold Businesses podcast is in partnership with Vodafone.